Chatbot Analytics: Tools & Resources to Measure Engagement. New conversational interfaces and products call for new ways to understand and measure user behavior. 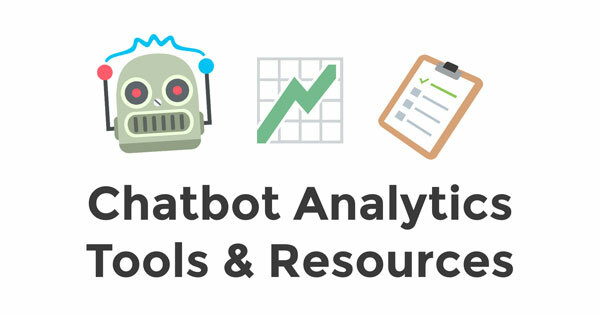 This post provides a list of chatbot analytics tools that help you keep track of the right metrics. There is already a huge list of chatbot builders, some of them offering analytics as part of a product suite. In the following section, we will only list tools that completely focus on metrics and analytics for chatbots. 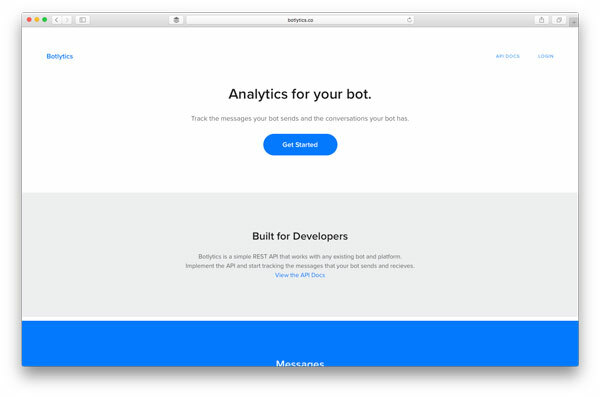 Dashbot offers conversational analytics for Facebook Messenger and Slack Bots, as they claim in their product tour. The tool offers handy tools like retention tables and sentiment analysis. The tool can be integrated by adding a few lines of code. See their SDK for more details. Here’s a Product Hunt thread where the co-founders talk about how they’re trying to make the integration of the tool as easy as possible. We’re going to add a review soon. Botanalytics offers analytics integrations to track conversations in real-time. They claim to make it easy to understand how people are using chatbots, e.g. which times work best for retention, or which parts of the bot are the bottleneck. See their documentation, product demo, and the Product Hunt discussion for further info. 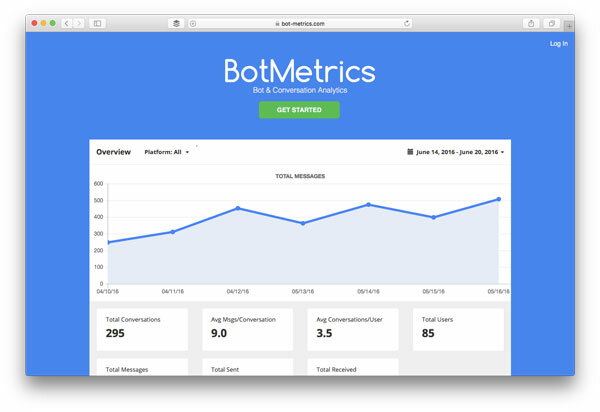 BotMetrics offers a Facebook Messenger SDK for analytics integration with Messenger bots. E.g. this can be used for retention analysis (when and how often are users coming back) and reports (which are most common phrases used by customers). 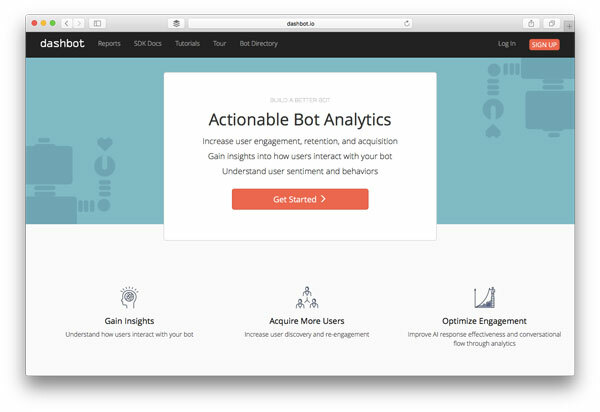 Bot-Metrics works with a REST API (see documentation). 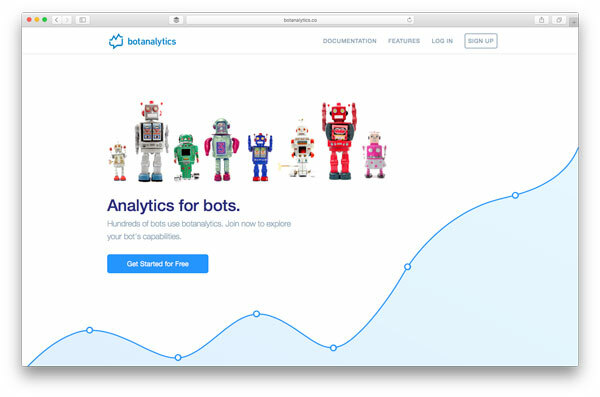 Botlytics is an analytics tool that helps developers track the amount of messages and keywords that are sent to their bots. In this ProductHunt thread, the co-founders are talking about how they got the idea and what’s behind the tool. It works with any bot platform with a REST API (see documentation). We’re going to add a review soon.